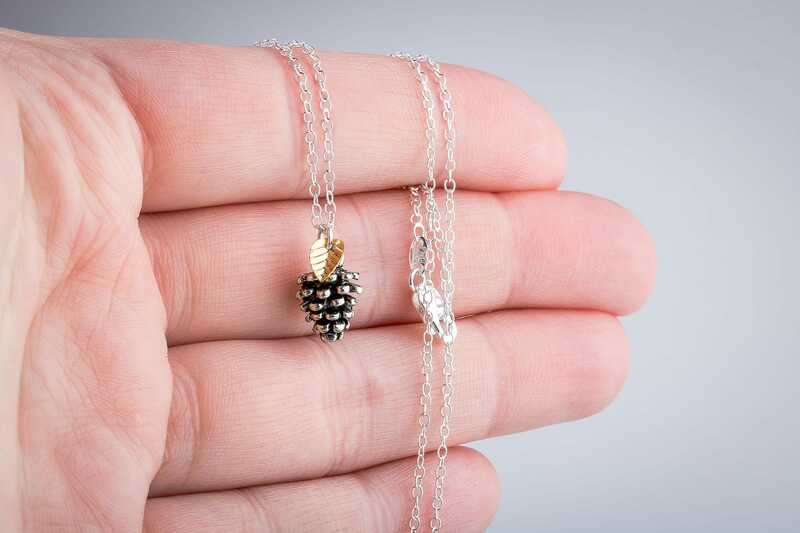 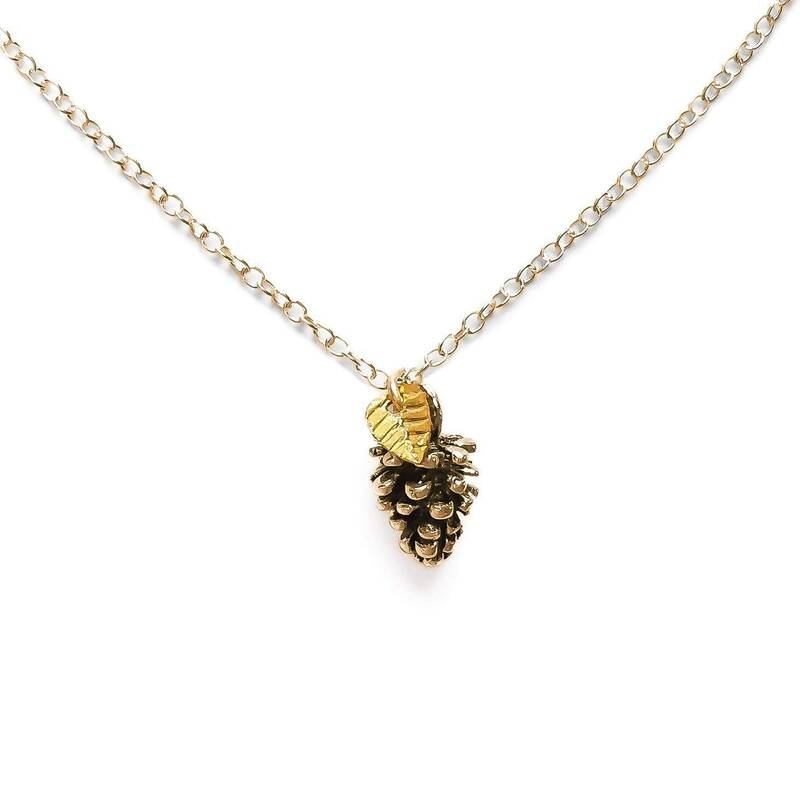 This tiny and adorable pinecone necklace is perfect for those colder months with the festive spirit of fall, autumn, and winter. 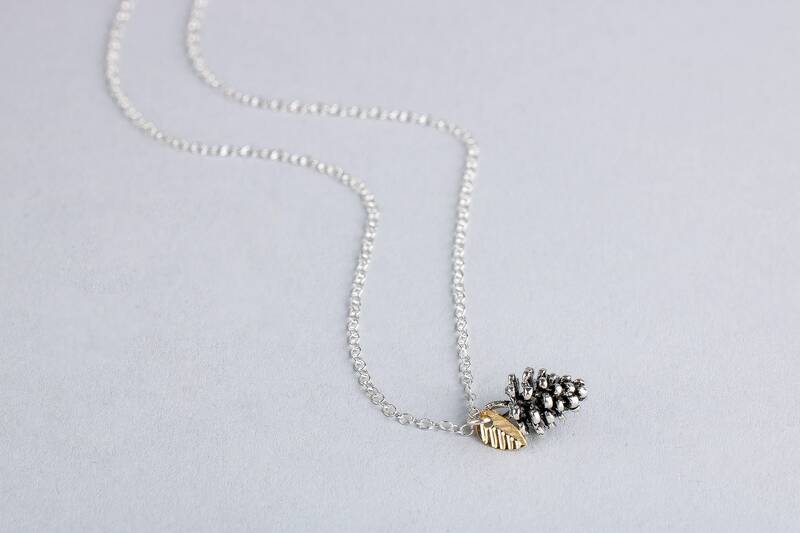 Simple, adorable, and irresistible. 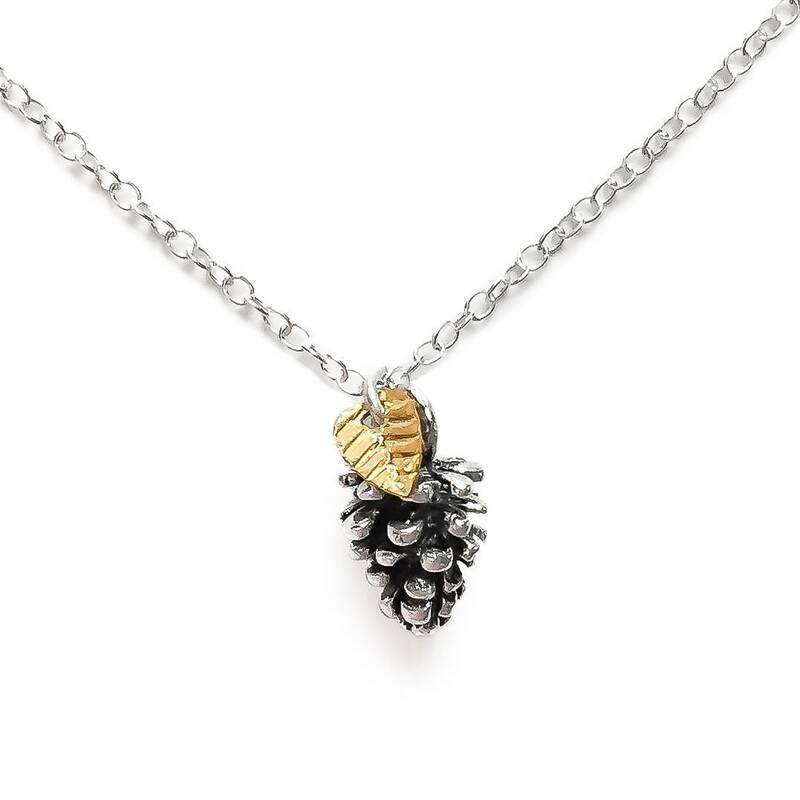 The necklace is made from either 14K Gold Fill or Sterling Silver. 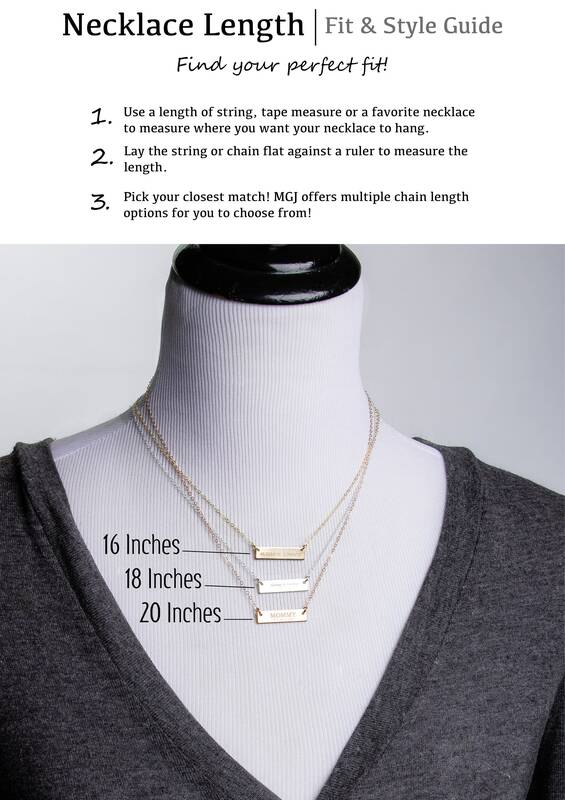 - Choose your necklace length: 16in, 18in, or 20in long. 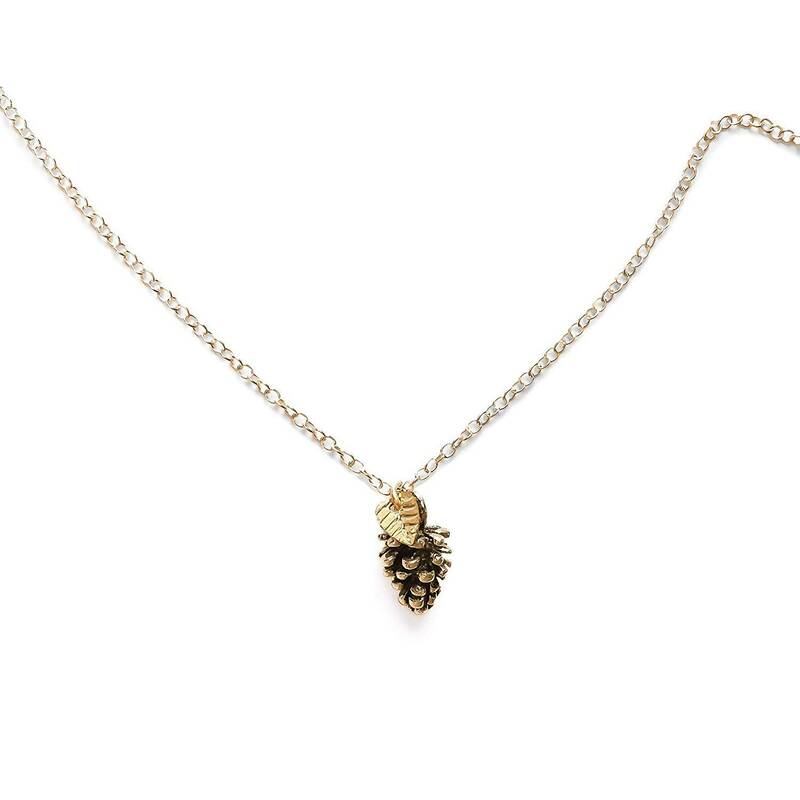 - Pinecone measures approximately 12mm. 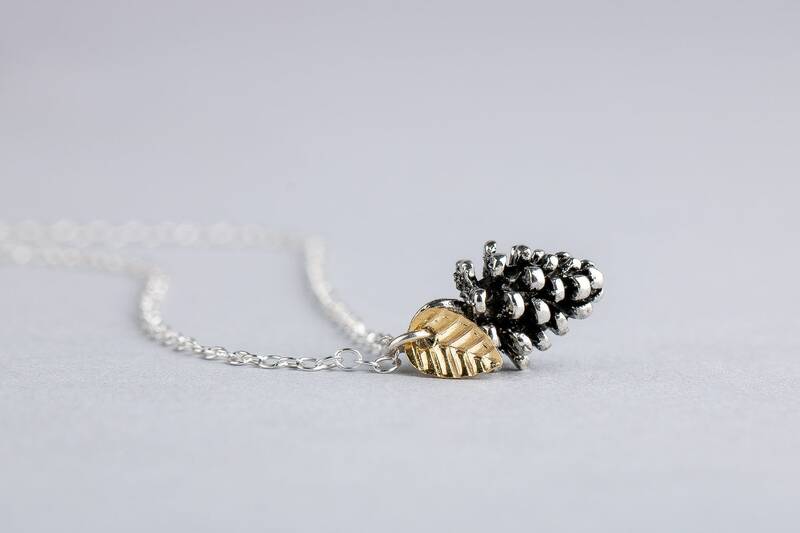 - Necklace is made entirely from Sterling Silver or 14K Gold Fill, and the leaves are gold plated brass. 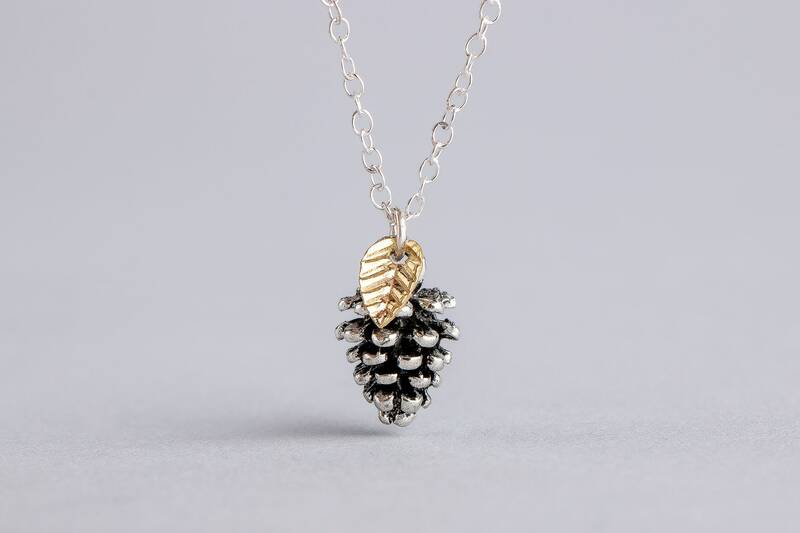 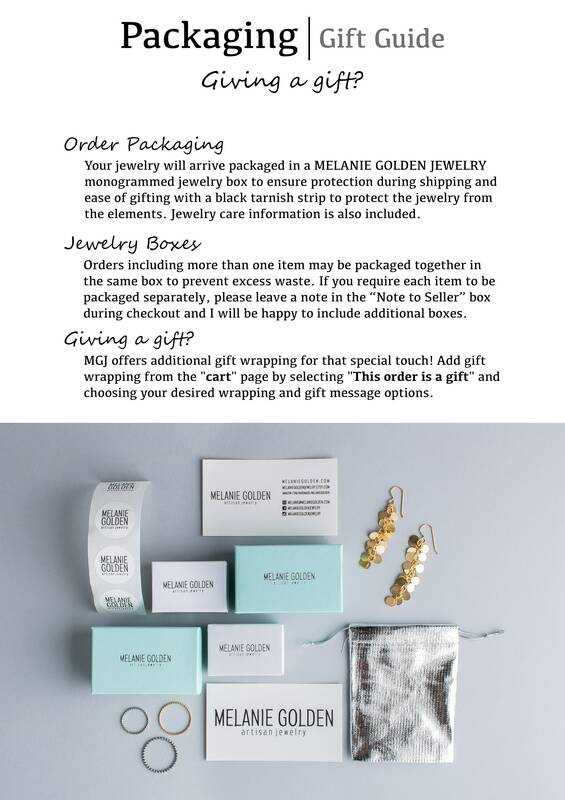 Material: Choose Sterling Silver or 14K Gold Fill.